I love this quote! I am always grateful for these little reminders that seem to surface just at the right time! 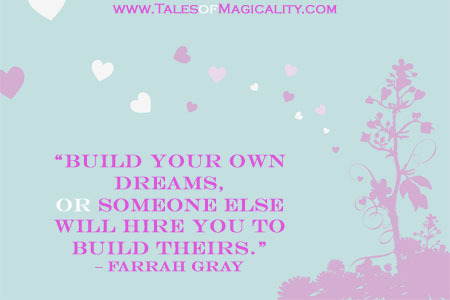 I needed this sign of Magicality from the Universe today…encouragement to follow the dream I am hoping to pursue! It is absolutely a great reminder! Definitely puts some fire in the soul to really go after what you truly desire.